Remember back in August when I posted my roasted chicken recipe, which led to my bone broth recipe? 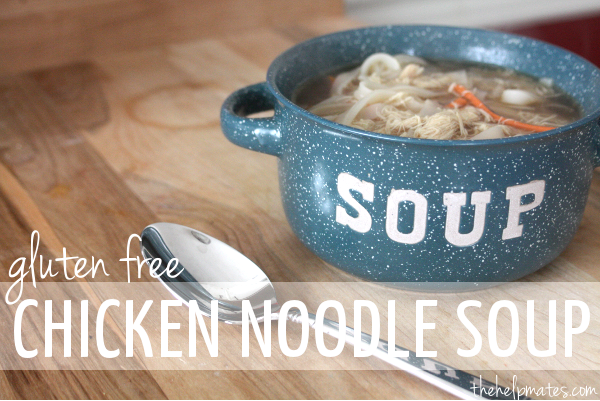 Well those have led me here, to my gluten free chicken noodle soup recipe! Now that it’s getting chillier outside and the leaves are starting to fall, it’s the perfect time for a hot bowl of soup. One of the toughest things for me about being gluten free has always been soup. Almost every canned soup out there has gluten in it, usually for noodles or sauce thickening. I’ve always loved the ease of popping open a can of chicken noodle soup on a cold fall day, but that’s not something I can enjoy anymore. 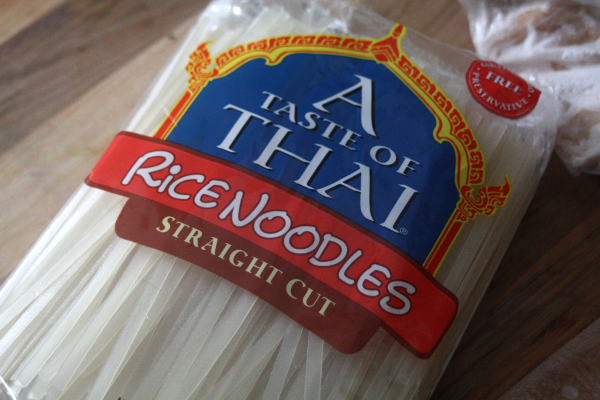 I use A Taste of Thai rice noodles. They’re the right size and texture, so I forget that they’re not regular noodles. They also keep well and are very easy to make. Just heat them for about 6 minutes in boiling water. 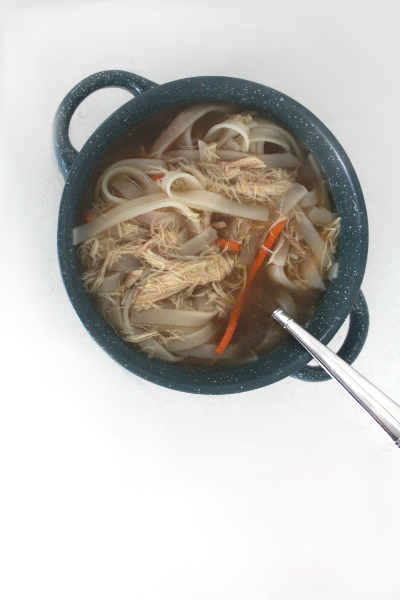 Heat bone broth, chicken broth, and chicken in a large pot. Bring to a boil. 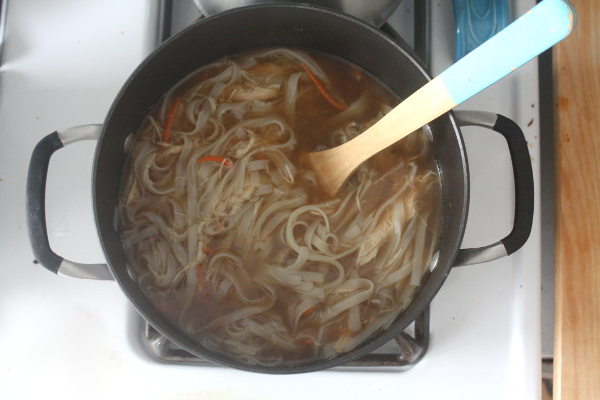 Add in the cooked noodles and carrots, and stir in the seasonings. Feel free to use more or less soy sauce depending on how salty you like your soup. This recipe makes enough to feed 8-10 people, so I usually have plenty leftover that I can keep in the freezer for those days that I’m craving a hot bowl of soup. Ooh, Lisa, that looks awesome! Thanks! It really hits the spot on those dreary fall days.